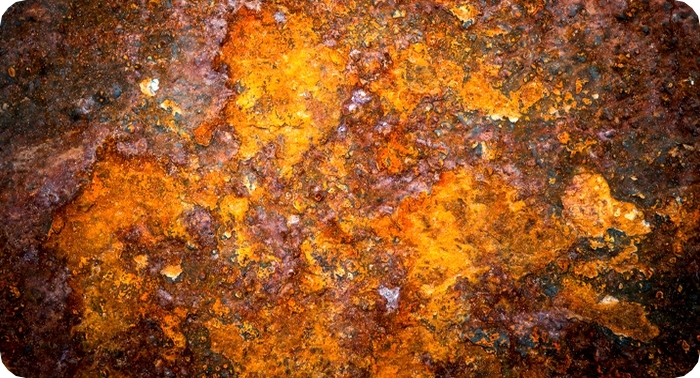 Metal corrosion or the oxidation of metal is heavily influenced by the presence of moisture in the air. 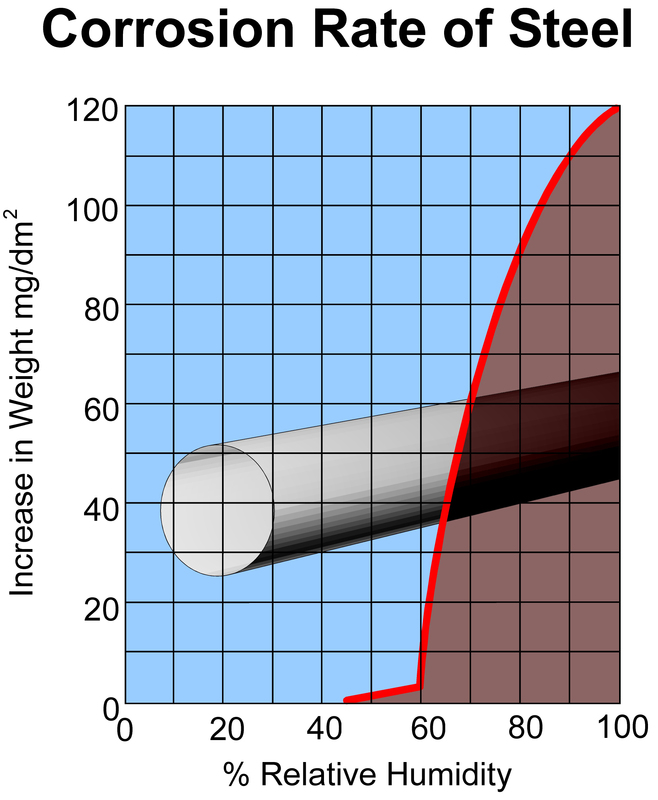 A high Relative Humidity causes a thin layer of water vapor molecules to settle on the surface of the metal, thus causing metal corrosion and oxidation of metal. In most places around the world the average Relative Humidity is over 75%. By using a dehumidifier, the Relative Humidity can be lowered to 45-50% without any problem, stopping corrosion on steel. This will dramatically reduce damage and maintenance costs supplying an electrolyte to the corrosion process. Dehumidification techniques to prevent corrosion are used in many ways, such as protection of defense equipment, bridge construction, electronic and semi-conductor manufacturing, for the storage of (spare) parts in the automotive industry and in water works. Also corrosion protection is of great importance in the Water and Fire Damage Restoration business. Contact us today for a complimentary assessment and let our Munters trained air treatment specialists recommend the correct Munters dehumidifier from the Munters Air Treatment range suited for your unique industry need that will stop metal corrosion.